Art is God! Cuz it never ever judges you! Now, it was meant to feel its existence! The root chakra, connecting us to the center of the earth! For a upper chakra person like me, feeling grounded in own mystical ways means a lot..
And this doodle does that for me,. 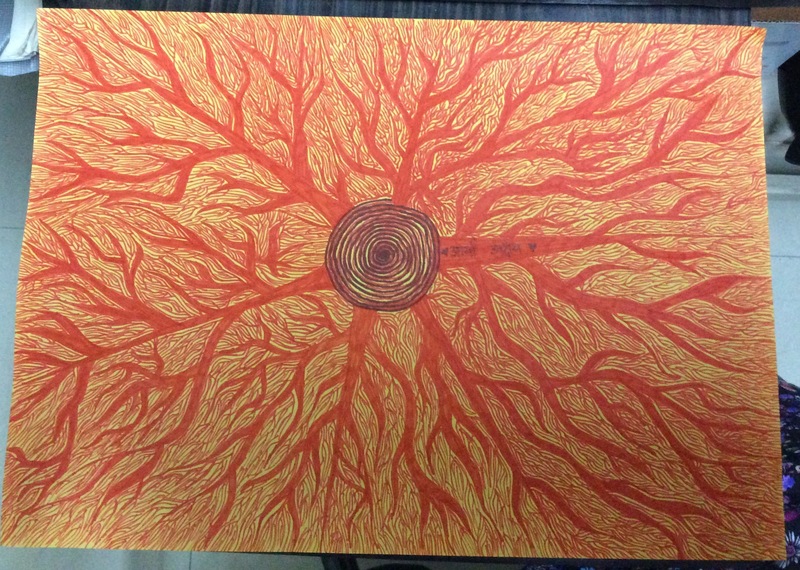 This entry was posted in Energy art and tagged connected, feeling safe, grounding, protected, red, root chakra, roots, stability, warm. Bookmark the permalink.